What is a Workplace Contact? Workplace contacts play a number of different roles. It is the ideal role for someone who wants to get involved but isn’t sure how. Workplace contacts can support existing stewards or can be the point of contact for a group of members who do not yet have a steward. It is a good way of getting some experience of what it is like to be active in a union. 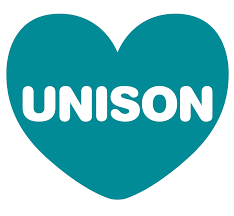 Worlplace contacts have access to a range of services from UNISON such as regular mailings, greater involvement in branch activities, training and access to advice. What does a workplace contact do? It couldn’t be easier! You don’t have to be elected to become a contact. Simply contact the branch so we can ensure you recieve the right information and support. For more details contact us.